ROSY100 Roasted Full Fat Soy Flour – Natural Products, Inc.
Roasted full fat soy flour is used in bakery products to increase the water absorption of the dough, which increases yield and extends shelf life. 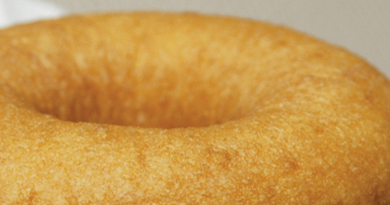 ROSY100 can also be used in cake donuts to reduce the amount of oil absorbed by the donut during frying. Please click here to download the specification sheet for ROSY100.